If you are a supplier to any of the large retail chains, you may wish to review your requirement for bad protection following a number of recent news reports from the retail sector. More problems have emerged from the sector as the BBC report that Prezzo, the Italian restaurant chain plan to close approximately a third of their retail outlets, as part of a creditors voluntary arrangement (CVA). This move follows restructuring by Byron the burger chain and Jamie’s Italian. It also follows news that UK retailers Toys R Us and Maplin Electronics have entered Administration. The continuing stream of bad news from the UK retail sector will be concerning for any businesses that are suppliers to that market space. The risk is multiplied as the volume of supply required by some of these larger groups, will be a concentration issue for smaller companies up the supply chain. This can present prime debtor issues for the smaller businesses that trade with them. 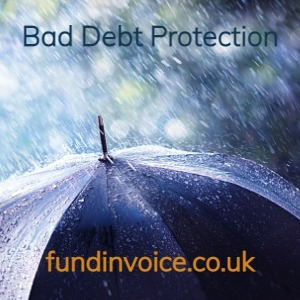 If you take bad debt protection, as part of a accounts receivable financing package (funding against unpaid invoices), you receive credit limits for each of your customers, and providing you trade within these limits, you do not need to worry about the impact of customer bad debts. This means that should your customers enter into insolvency arrangements such as Administration or Liquidation, you will be protected against your outstanding invoices not being paid. This could give you a great deal of peace of mind if you are currently supplying the UK retail sector. For more details please contact Sean on 03330 113622.